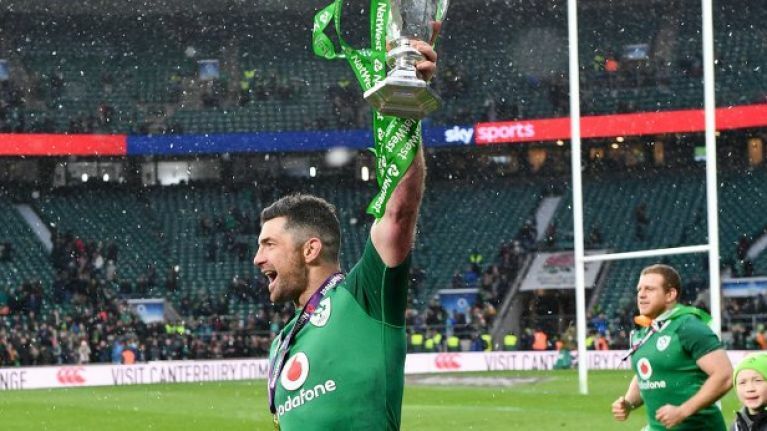 Sunday has been a day of celebration for the Irish rugby team, and rightly so. Having touched down in Dublin following their Grand Slam triumph on St. Patrick's Day, the Six Nations champions headed straight to the Shelbourne Hotel for a well-earned drinks reception. Still, strong braces game from the Minister if nothing else. Elsewhere, Cian Healy hailed the Irish fans for their support throughout the Six Nations, in light of the planned Aviva Stadium homecoming bash getting cancelled due to the weather. Gutted we couldn't make the homecoming happen, the support has been tremendous throughout the tournament and I just want to say a huge thank you to all of you, this will be with me forever!